Duke University head basketball coach Mike Krzyzewski became Division I basketball’s all-time wins leader last night as the #6 Duke Blue Devils defeated the Michigan State Spartans 74-69. The victory was the 903rd win of Krzyzewski’s legendary coaching career. 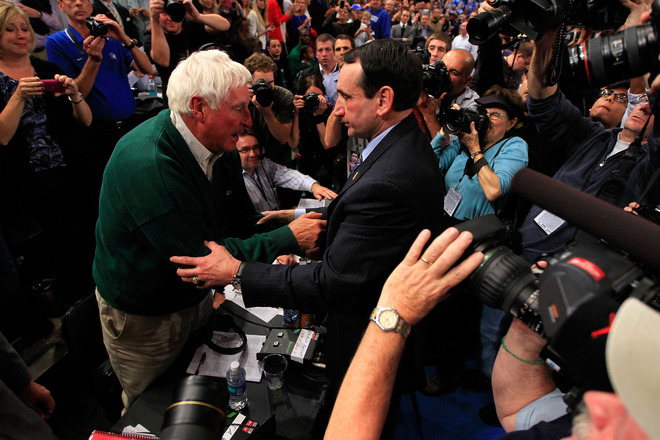 Making the achievement even more special for Coach K was that he passed his college coach and longtime mentor Bob Knight’s 902 wins.